I’ve been meaning to put this post up for a while. I went to Fire & Stone in Covent Garden just before I went to see The Bodyguard musical. It’s been around for quite a while now, as I remember going quite a few years ago and hadn’t been since, so it was a refreshing change to go back and still enjoy it as much as I had the first time! If you have never been before, it is an Italian inspired restaurant with a range of pizzas which complement major cities all over the world, reflected in the name. 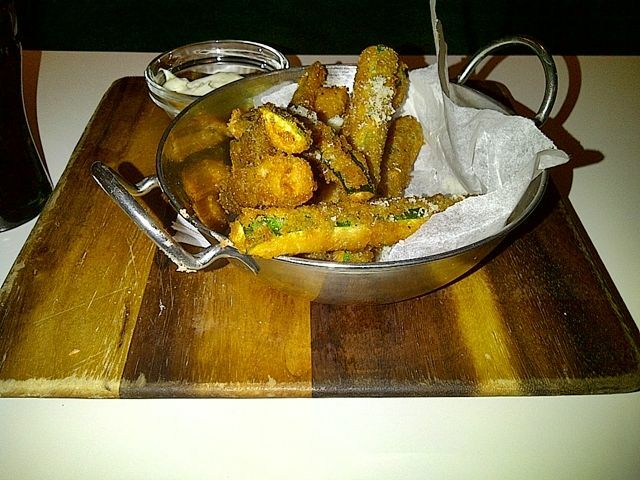 To start I had the crispy fried calamari with garlic dip and tomato salsa and Danny had the Zucchini sticks which came with garlic dip too. 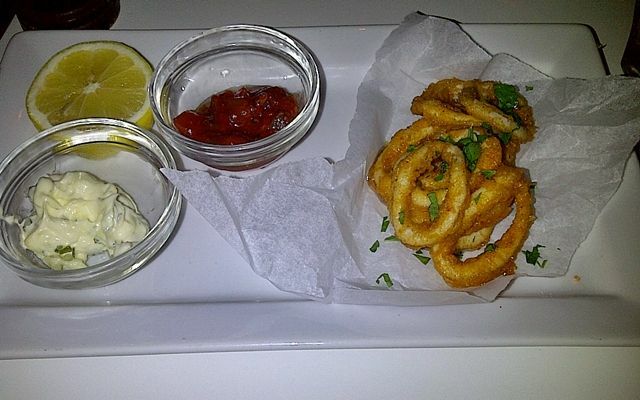 The calamari was really good and was just the right amount. With calamari sometimes many places either give you too much and it gets cold quick which in turn makes it chewy, not this one! 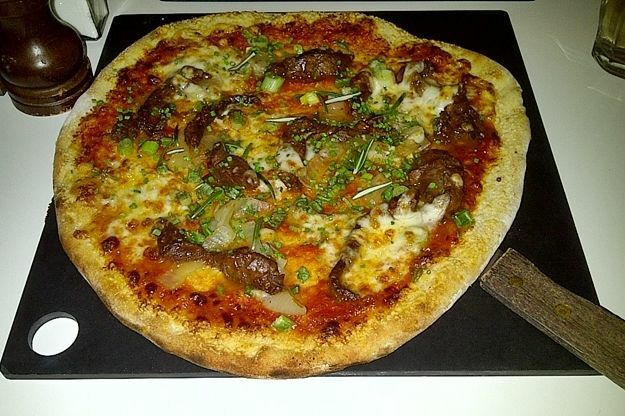 For mains I couldn’t decide from the pizzas as they all sounded so good but I chose the Texas which consisted of Barbecued rump steak, mozzarella, caramelised onions and tomato sauce. 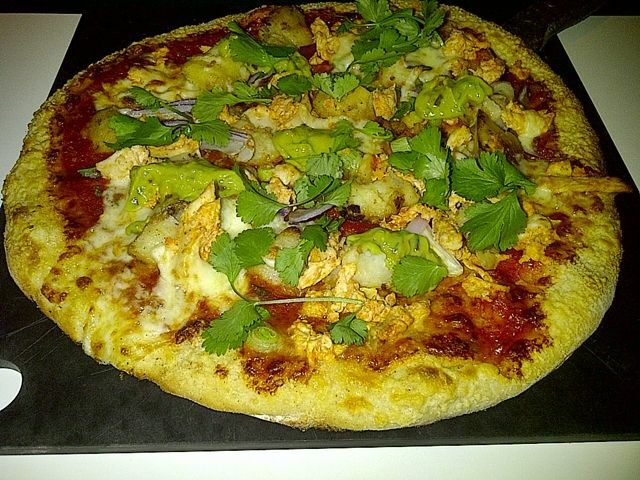 Whilst Danny opted for Mexico City – Spicy chicken, guacamole, chunks of roasted potatoes, red onion and coriander. Steak on a pizza is such a great idea but can be pretty filling, either way it tasted really good! 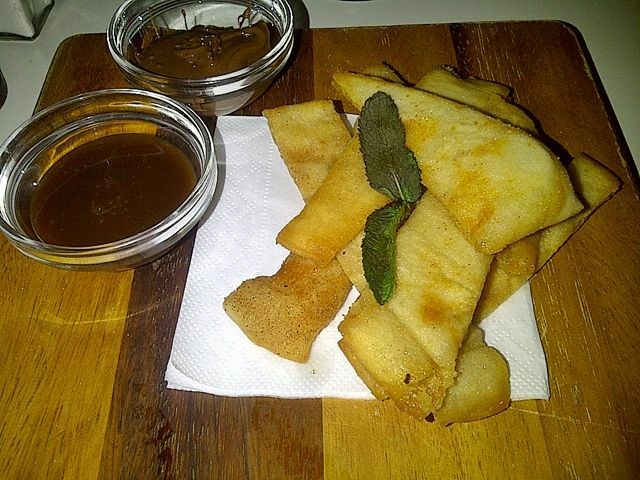 I still had room for dessert and wanted to try the cinnamon coated dough strips mainly because they came with Nutella and I’m a sucker for anything in Nutella oh and toffee sauce dips! They were just as good as I thought but by this point I was totally stuffed so the mixtures of dough took over! A great place for pizza with a twist or before a theatre visit and what I love is how the restaurant is raised above the ground floor! Visit Fire & Stone Covent Garden website here. Previous ArticleFancy a Spice Girl cocktail?